Heinz Klug is Evjue-Bascom Professor of Law at the University of Wisconsin Law School and an Honorary Senior Research Associate in the School of Law at the University of the Witwatersrand, Johannesburg, South Africa. Growing up in Durban, South Africa, he participated in the anti-apartheid struggle, spent 11 years in exile and returned to South Africa in 1990 as a member of the ANC Land Commission and researcher for Zola Skweyiya, chairperson of the ANC Constitutional Committee. He was also a team member on the World Bank mission to South Africa on Land Reform and Rural Restructuring. He has taught at Wisconsin since September 1996. 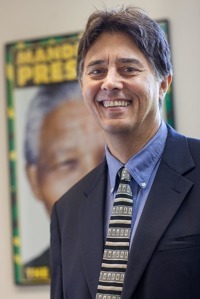 Professor Klug taught law at the University of the Witwatersrand in Johannesburg from 1991-1996, offering courses on Public International Law, Human Rights Law, Property Law, Post-Apartheid Law and Introduction to South African Law, among others. He also worked as a legal advisor after 1994 with the South African Ministry of Water Affairs and Forestry as well as the Ministry of Land Affairs on water law and land tenure issues. Professor Klug has presented lectures and papers on the South African constitution, land reform, and water law, among other topics, in Australia, Canada, Colombia, Ethiopia, Germany, South Africa, the Netherlands, and at several U.S. law schools. His research interests include: constitutional transitions, constitution-building, human rights, international legal regimes and natural resources. His current teaching areas include Comparative Constitutional Law, Constitutional Law, Human Rights and Humanitarian Law, Property, and Natural Resources Law. Professor Klug's book on South Africa's democratic transition, "Constituting Democracy" was published by Cambridge University Press in 2000.